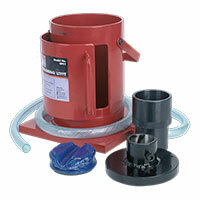 Reduce waste and make recycling simple with industrial-strength oil filter crushers from Euro Car Parts. 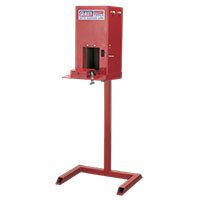 If you get through lots of oil cans and filters, you need one of these in your garage! Nobody likes to see good materials thrown away, and oil filter crushers offer a great way to turn cans and filters that would otherwise have to be specially disposed of as hazardous waste into useful scrap metals. 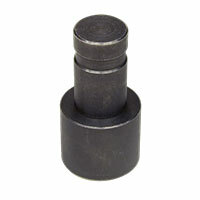 These crushers are the perfect addition to a busy garage that gets through dozens of oil filters and cans. A hydraulic press squeezes the metal flat, while an outlet lets sludge and waste oil run out so it can be safely stored in a container. The metal can then be sold as scrap or simply disposed of. Properly disposing of hazardous materials is a key responsibility of working in a garage, and oil filter crushers make life easy – they can even turn your waste into a bit of extra cash! Find industrial-quality oil filter crushers and many other essential machines for your workshop or garage at Euro Car Parts. We supply the industry with the tools they need to get the job done – at amazing prices!